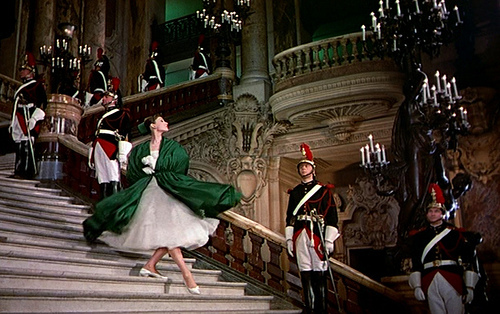 Le Palais Garnier | Life in Paris with a limited wardrobe. I have been in love with the outside of this building for years. And now, I am even more in love with the interior. I felt like I was part of a movie, because unlike other historical buildings, the Palais Garnier is still being used as it was intended too, 200 years ago. Its a place that one must defiantly see (especially if you don’t have a chance to get over to Versailles). 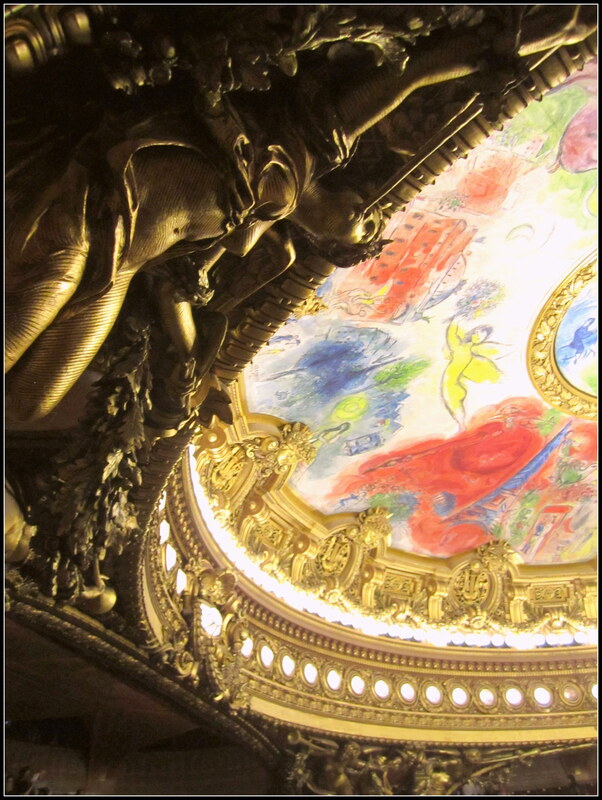 Some of my favorite things: the red velvet seats (I loved the separators),the 7-ton chandelier comprising of bronze and crystal and oddly enough my very favorite thing at the opera house was the 1964 addition—the surrounding ceiling area of the chandelier art by Marc Chagall. There are 14 scenes from operas by Moussorgsky, Mozart, Wagner, Berlioz, Rameau, Debussy, Ravel, Stravinsky, Tchaikovsky Adam, Bizet, Verdi, Beethoven, and Gluck. And skip the tour and buy yourself a ticket to a concert!